The Nest Protect is so much more than a smoke alarm, it’s also a carbon monoxide alarm. The smart technology device is a great bit of technology and a sound investment for any home. Our SmartHome installers have been installing Nest® protect devices along with other compatible devices in our SmartHome range in Plymouth homes for the last two years and customers have been impressed by the level of safety that the device offers. 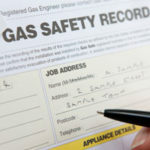 Every household regardless of the age of boiler or even if you do not have a boiler should have a carbon monoxide alarm. The Nest protect does what it says on the tin protects your household and alerts you and your family to smoke and carbon monoxide, straight to your smartphone, no matter where you are. App Silence: Silence alarms with your phone, not your tea towel. If everything’s under control and there’s only a little smoke, silence the alarm from the Nest app. Phone alerts: Everyone in your family can know what’s going on, from anywhere. When something’s wrong, Nest Protect sends everyone an alert in case no-one’s at home. No chirps: Tired of getting woken up at 2 am by your smoke alarm? Long before it has to chirp, Nest Protect tells you its batteries are running low with a message on your phone. And don’t worry, that won’t happen for years. Safety Check-up: Test all your alarms with a tap. And once the test is finished, you’ll receive a full report. Family Accounts: Everyone in the family can have their own Nest account. No more sharing a login. You can all use your phones to silence and test alarms. And you’ll all get alerts on your phones if something’s wrong at home. Lights your way: If you need a glass of milk in the middle of the night, the new Nest Protect lights up as you walk underneath it. Pathlight is one of our customers’ favourite features, so we’ve made it better and brighter. You can find out more product information for the Nest Protect on Nest’s official website. Our SmartHome engineers are able to supply and fit all Nest Smart technology, our heating engineers are nest certified installers and Gas Safe Registered. You can find out more about why we are one of the most accredited Plumbing & Heating companies in Plymouth here. For a free quotation from Plymouth’s leading Plumbing & Heating company, simply get in touch with us. Will A Smart Thermostat Save Me Money?